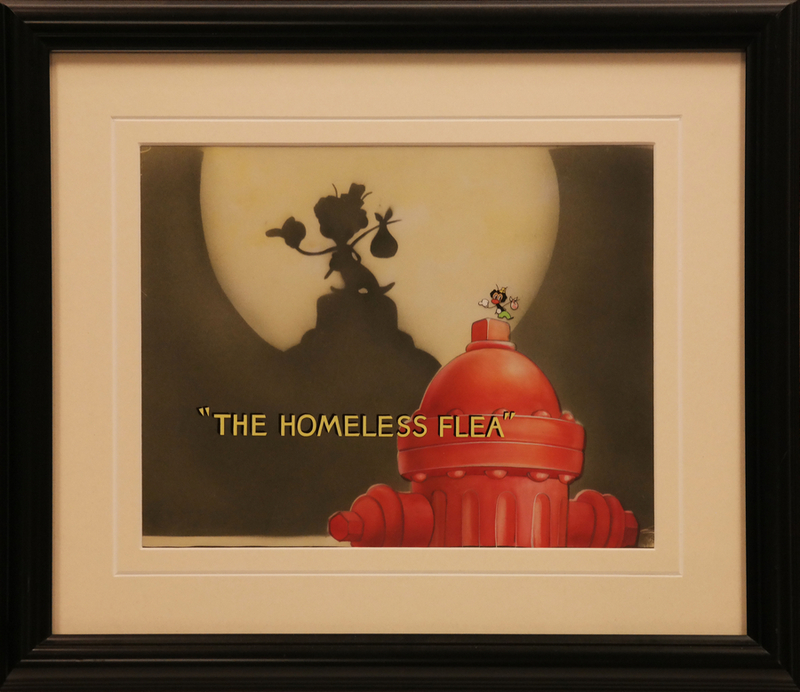 This is an original title card cel and background from the MGM Studios production, The Homeless Flea (1940). 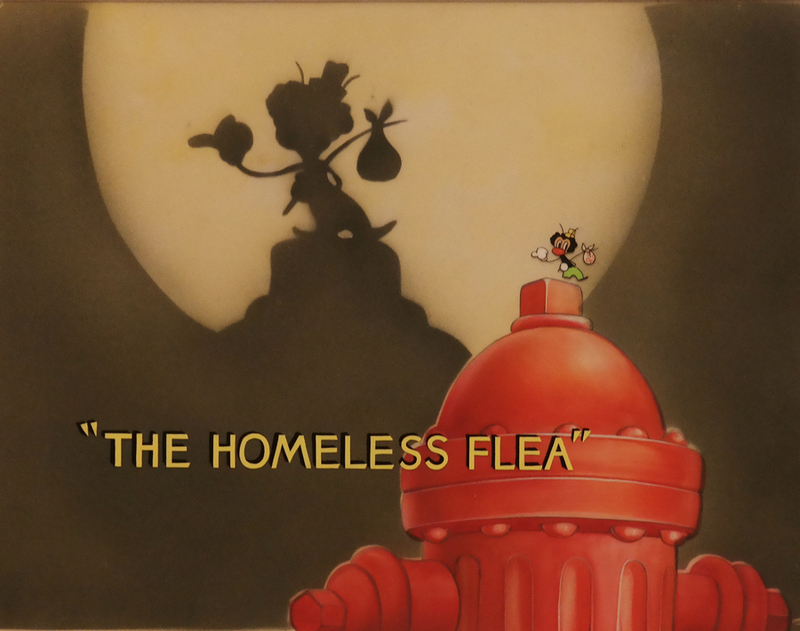 This title card features the main title image with the titular character and was created at the studio and used during the production of the short. The overall measurements of the piece are 16" x 18.5" framed and the image itself measures 9" x 11.5". Title cards are rare to find as there is only one per production, and many pieces from this era were not saved. This piece is in excellent condition and is a true animation gem.